Nissan is heading a consortium that will install 74 rapid chargers in the UK and Ireland over the next 12 months. The project - Rapid Charge Network (RCN) - has been co-funded by Nissan and the European Union and will cover more than 680 miles of motorway. The majority of the electric vehicle charging points - which will be compatible with all electric vehicles and not just the Nissan Leaf - will cover a number of key areas, including Belfast, Birmingham Leeds and Liverpool. A number of port districts will also be catered for, with Felixstowe, Holyhead and Stranraer included in the 74 charging locations. Nissan claims that the rapid chargers will be the state-of-the-art multi-standard units, compatible with cars using 44kW DC CCS, 44 kW DC Chademo or 43 kW AC systems. Work on installations will start in the next few weeks and be completed in late 2014. 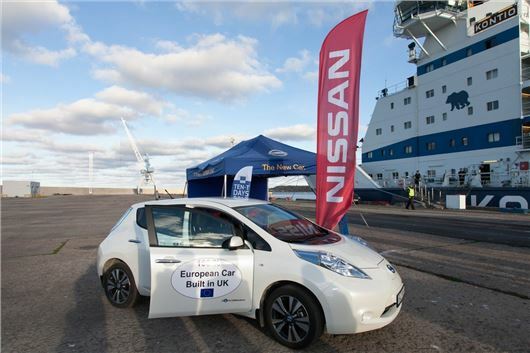 ‘Nissan is delighted to be leading this important initiative. The UK's Rapid Charge Network will provide a vital sense of security for all EV driversas well as helping to promote the advantages of zero emission mobility to others,’ said Olivier Paturet, general manager of Nissan’s zero emission strategy. 74 points over the whole of the UK - think they are going to need a few more than 74 to convince people to go electric! We need any type of charge point now in Merseyside, North Wales And The Lake District.